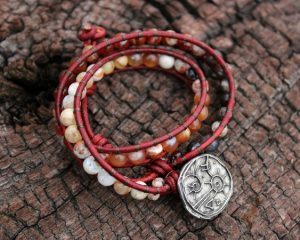 Flaunt beaded wrap bracelets to sport a boho chic style. 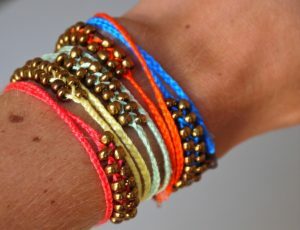 They look best when complemented with the right outfit. The handmade accessories come cheap and allow you to use your choice of beads. They lend a funky pop of color to your wrist. You could also use colorless or white beads if you don’t want them to be over the top. 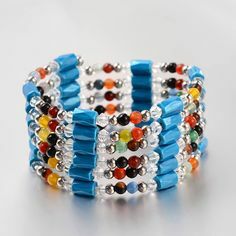 If you are not much of a fan of wrap bracelets, you could draw inspiration from the more generic beaded bracelets post. The video tutorial assists you in the making process that utilizes Amazonite stone beads in 6 mm round, round leather cord and silk beading cord. 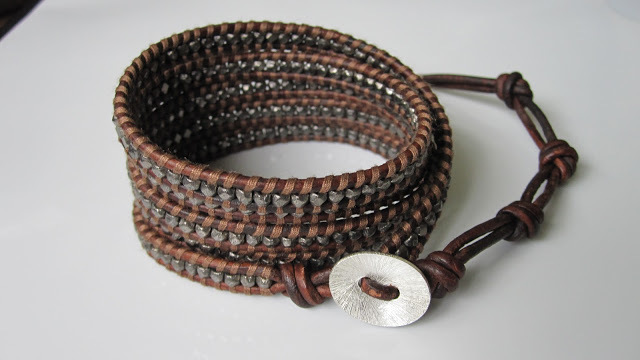 Start with cutting a piece of leather cord 30 inches long and fold it in half. 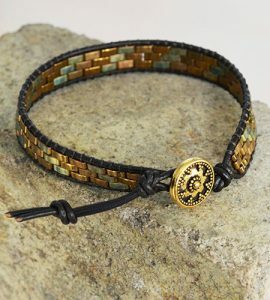 For the rest, just click on the above link. 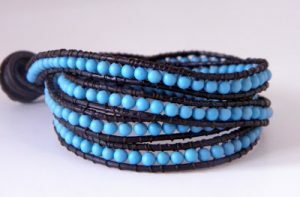 The beads teamed with leather, make the wrap bracelet unique. 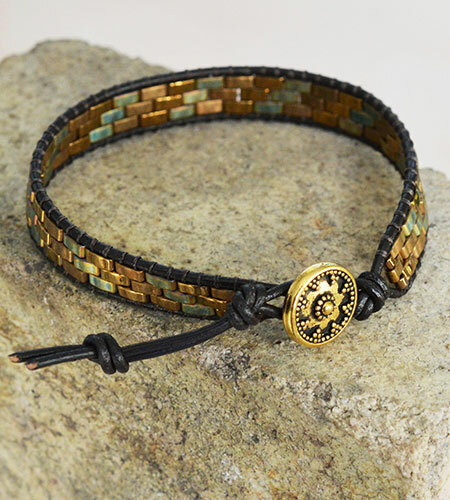 This type of bracelet is so in that you could also find them featured in athletic clothing catalogs. 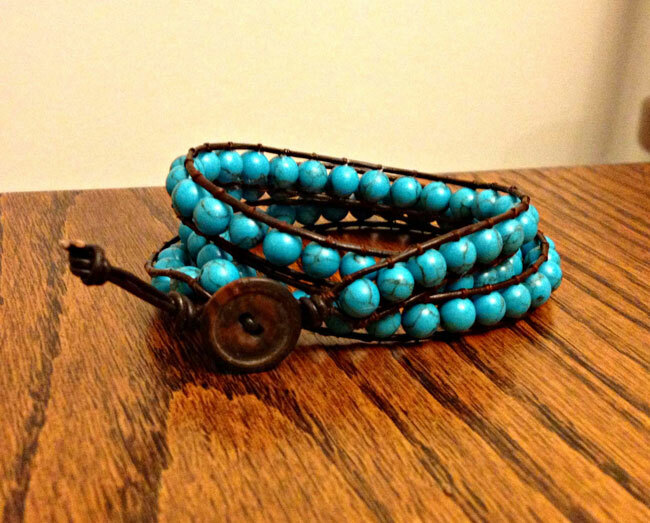 The awesome looks of this wrap bracelet can be attributed to long turquoise beads. An assortment of ceramic, wood, faux semi-precious and metallic beads could keep the onlookers hooked. This lashed wrap bracelets mainly consists of half Tila beads, leather cord and a metal button. 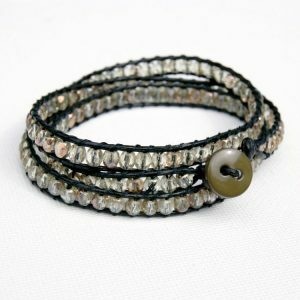 Show your chic, street-smart side by flaunting this one. Explanatory diagrams make the DIY easy for you. You can substitute the cord as shown in the video with Irish linen. 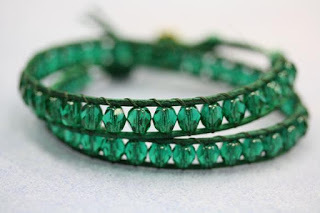 Written instructions are also given to explain the ladder stitch used in stringing the beads. 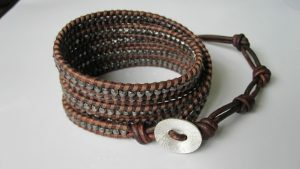 A leather cord is looped around a big button that is then secured by an overhand knot. 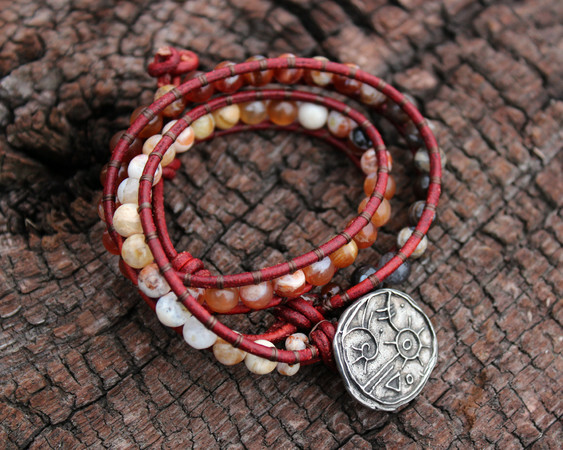 Then a needle is threaded with Silamide to attach the beads to the leather strands. 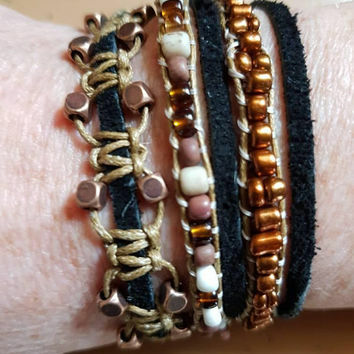 You can increase the number of wraps for your bracelet to 5, 7 or higher. 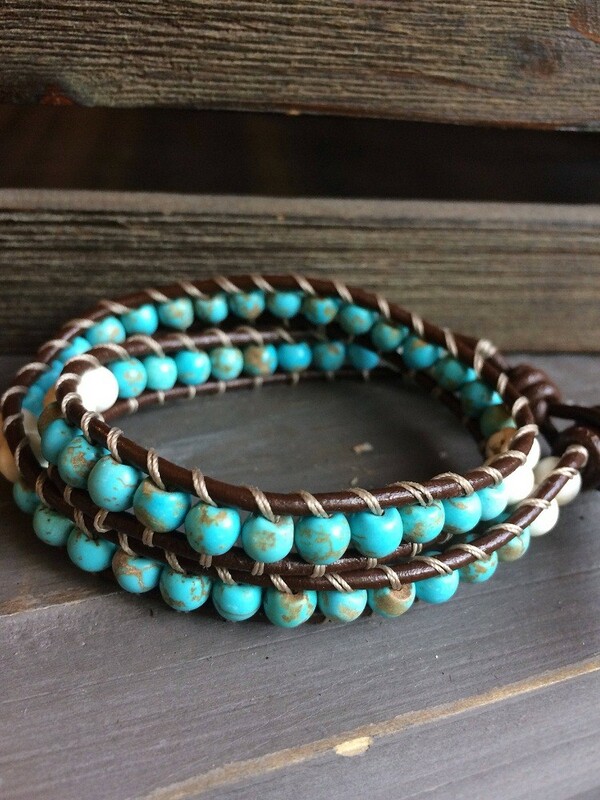 Just keep in mind that you need 18 inches of leather cord for every wrap that you make. 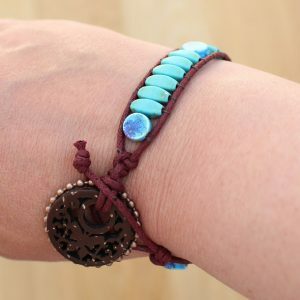 You can make this bracelet with white leather cord and silver beads as indicated in the above-linked guide or use colors as shown in the below image. It is inspired by the famous Chan Luu bracelets. 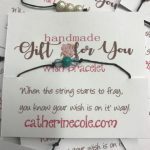 Here, round nose pliers (or any other pliers) are used to bend headpins in the desired round shape. 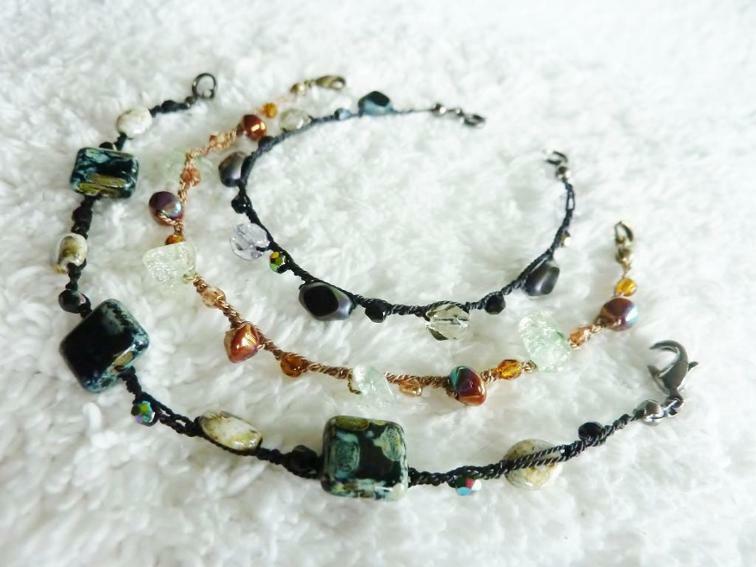 You can make as many wraps as you want. Then you have been instructed on how to make crystal Rondelle drops. 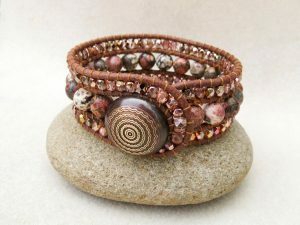 The middle row of the beaded cuff wrap bracelet can be made of agate gemstones and the Rhinestone chains can be added to the outer rows. 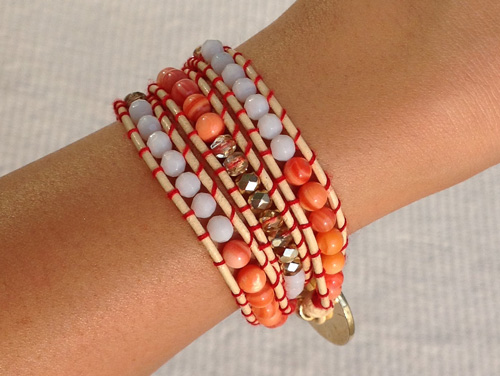 The statement piece can grab quite a few eyeballs. 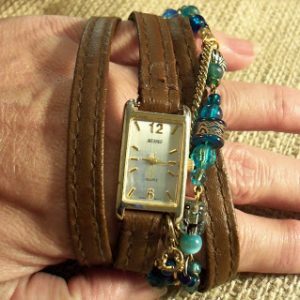 This multi-wrap beaded bracelet offers an excellent way to reuse old beads, the leftovers of your previous projects, lying around the house. You could also use the beads of an old necklace for this statement piece. 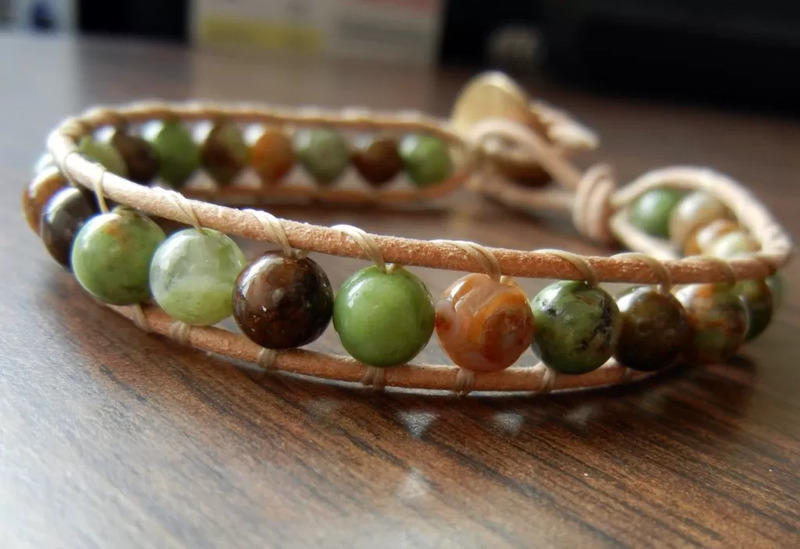 The supplies for this awesome bracelet are hemp or cotton twine, needle and thread, scissors, button, clipboard and most importantly, beads in your desired choice of colors. Instead of the turquoise beads as shown in the below image you can go for silver crystal rondelle beads as directed in the above-linked tutorial. 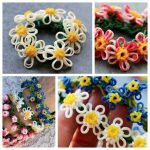 You need to know just the crochet chain stitch for making this adorable bracelet. It can be used as a necklace too. You are required to make the bracelet with silk cord and incorporate beads as you chain. 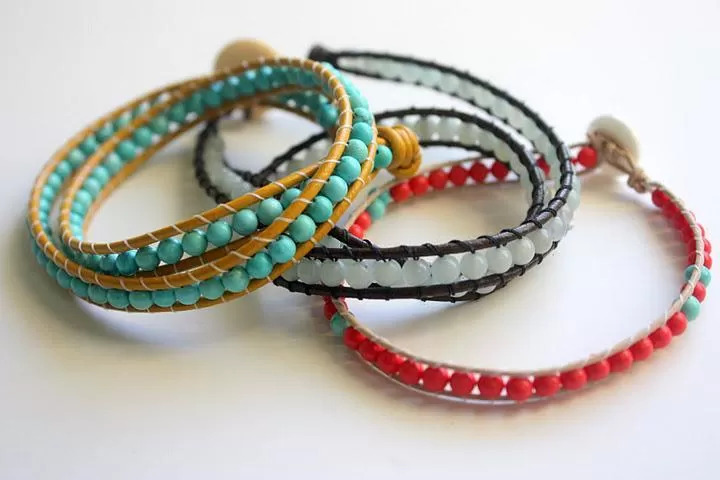 Black, gold, pink and red bracelets look attractive on a girl’s delicate wrist. 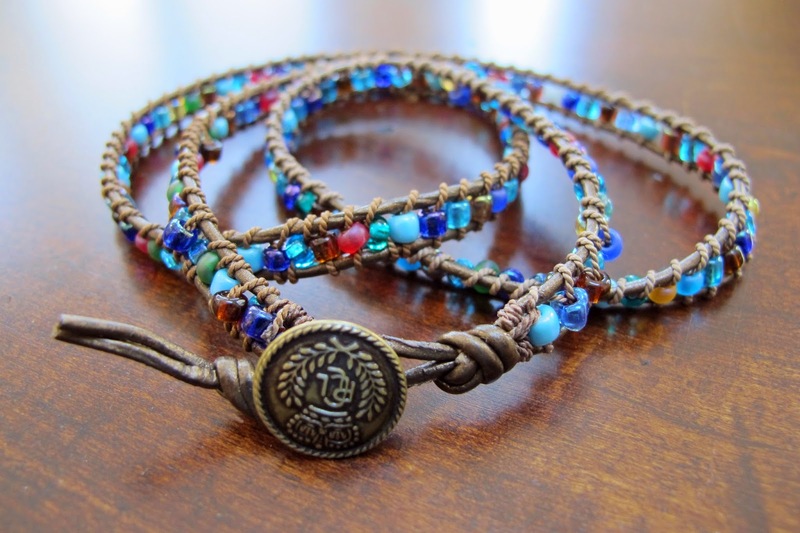 You could gift these pretty accessories to your friends and family members. They look trendy and speak volumes about your creative skills. 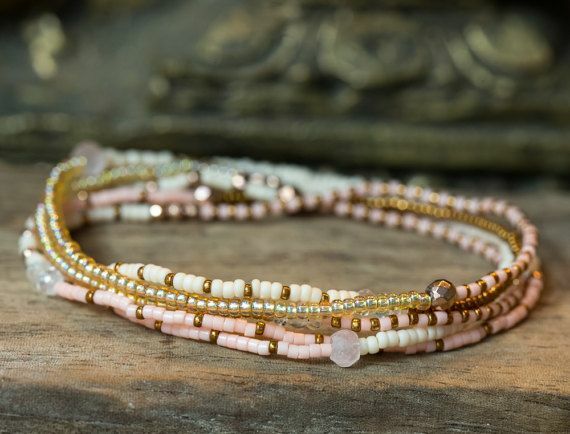 Gather your choicest beads and get working fast. You can thank us later.